Advance Auction ticket $17. at door $ 20. Mingle with community, enjoy fabulous food, meet the artists and bid on works of art. 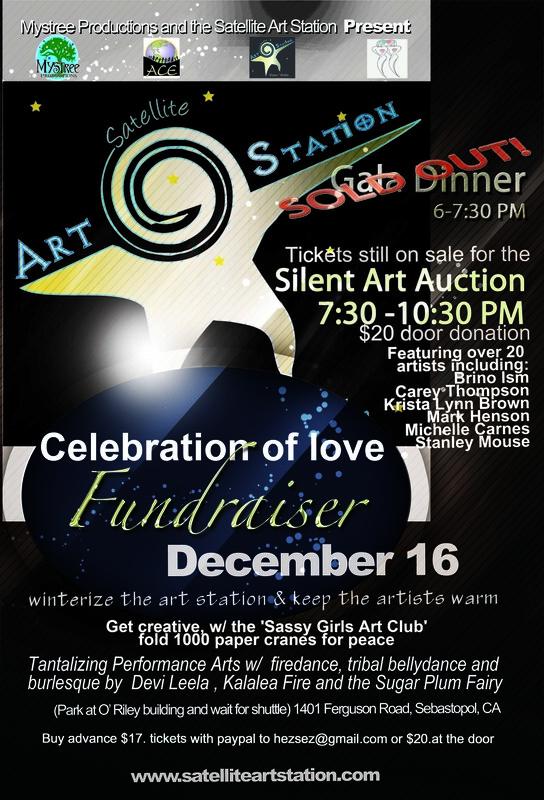 Proceeds will go towards winterizing the SAS country art studio so the artists can stay warm and working through the winter. The goal is $4000. for insulation, heaters, electrical wiring, and lights. Keep tuned for results on our facebook thermometer. Were up to $300. already. John Whisman is generously donating his time to do the work on the building , along with many other volunteers. If you would like to volunteer to help out with any aspect of this project, please contact Heather – 707-824-4833 or hezsez@gmail.com. Its a come in your underwear party. 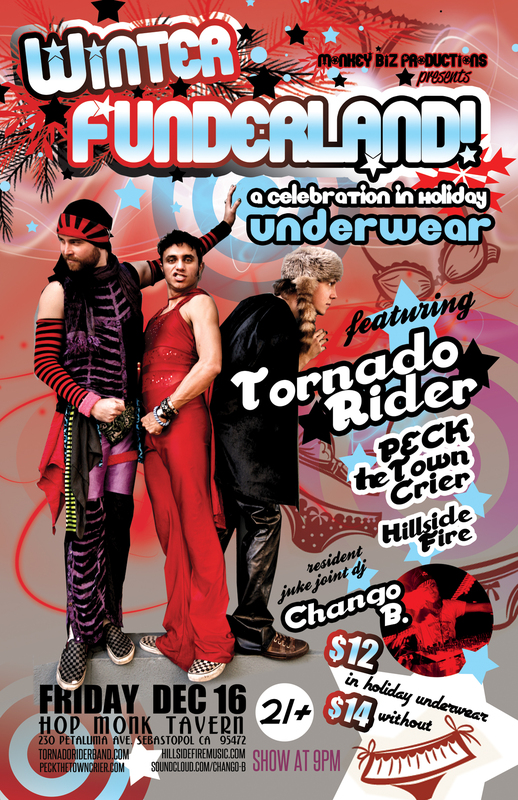 With the irreverent and chaotic yet talented band Tornado Rider.http://www.hopmonk.com/sebastopol/music-and-events/events-detail/?event_id=175415. After party at the Hopmonk- Winter funderland! Bring your auction number and get a discount at the door.